SAN FRANCISCO -- Hackers stole the personal data of 57 million customers and drivers from Uber Technologies, a massive breach that the company concealed for more than a year. Compromised data from the October 2016 attack included names, email addresses and phone numbers of 50 million Uber riders around the world, the company said Tuesday. The personal information of about 7 million drivers was accessed as well, including some 600,000 U.S. driver’s license numbers. No Social Security numbers, credit card information, trip location details or other data were taken, Uber said. The UK's regulator in charge of data privacy said the breach raised "huge concerns" around the company's data protection policies and ethics and said it was looking into the situation. Hackers have successfully infiltrated numerous companies in recent years. The Uber breach, while large, is dwarfed by those at Yahoo, MySpace, Target, Anthem and Equifax. What’s more alarming are the extreme measures Uber took to hide the attack. The breach is the latest scandal Khosrowshahi inherits from his predecessor, Travis Kalanick. Uber said it has hired Matt Olsen, a former general counsel at the National Security Agency and director of the National Counterterrorism Center, as an adviser. He will help the company restructure its security teams. 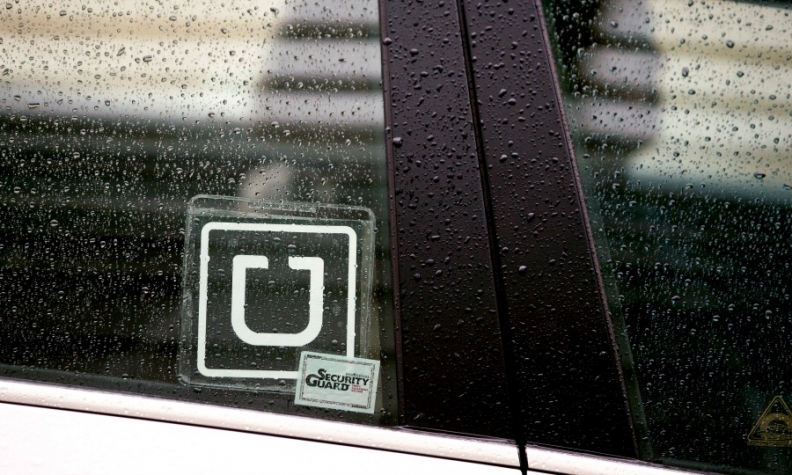 Uber hired Mandiant, a cybersecurity firm owned by FireEye, to investigate the hack.